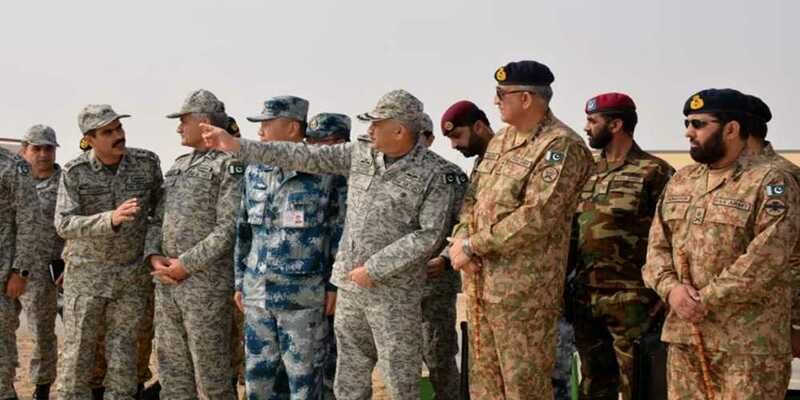 Chief of Army Staff General Qamar Javed Bajwa (COAS) has said that the ongoing Pak-China International Air Exercise Shaheen-VII would further strengthen and promote friendship, exchanges and cooperation between the two countries, according to an Inter-Services Public Relations press release. The COAS witnessed the exercise at an operational air base of Pakistan Air Force, and said that the exercise will also benefit the armed forces of both the countries. Upon his arrival, the army chief was received by Chief of the Air Staff, Air Chief Marshal Mujahid Anwar Khan, said the ISPR. While interacting with the combat crew, COAS lauded the professionalism of the participants of the exercise and appreciated the efforts of the PAF and People’s Liberation Army Air Force (PLAAF) in conducting the international air exercise.